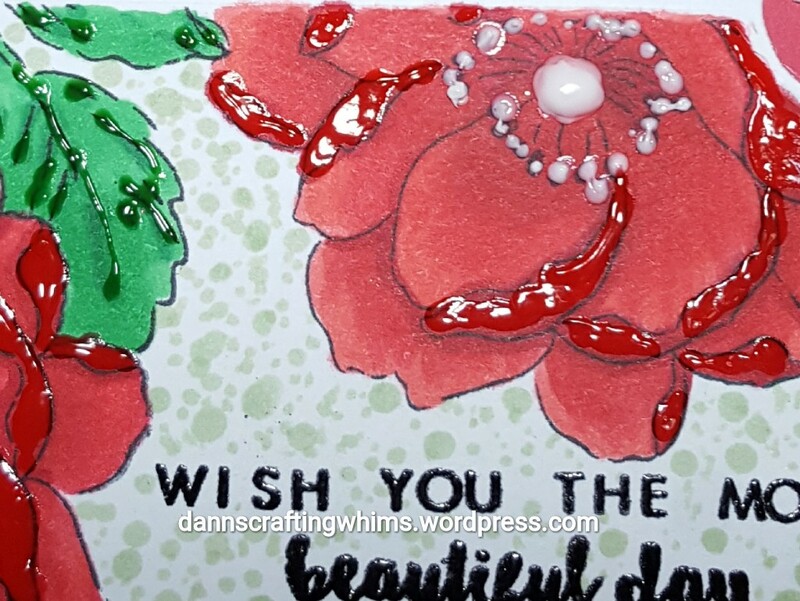 I took the Altenew Beautiful Day stamp and masked off areas of the Spellbinders Divine Eloquence die, then colored it in with Copic Markers and Tonic Nuvo Cerystal Drops. Do POP right on over to the MarkerPOP! blog to share in the fun! And in the Simon Says Stamp Wednesday Challenge: Anything Goes. (HERE) Be sure to check them both out, too! This entry was posted in Anniversary cards, Any Occasion Cards, Cards, Congratulations, Friendship Cards, Papercraft, Sympathy/Support cards, Thank You Cards, Thinking of You Cards and tagged Altenew, Altenew Beautiful Day, Beautiful Day, cardmaking, Copic Coloring, Copic Markers, Copics, handmade cards, MarkerPop!, papercrafting, Papercrafts, Spellbinders, Spellbinders Divine Eloquence, ssswchallenge, Tonic Studios Nuvo Crystal Drops by dannscraftingwhims. Bookmark the permalink. 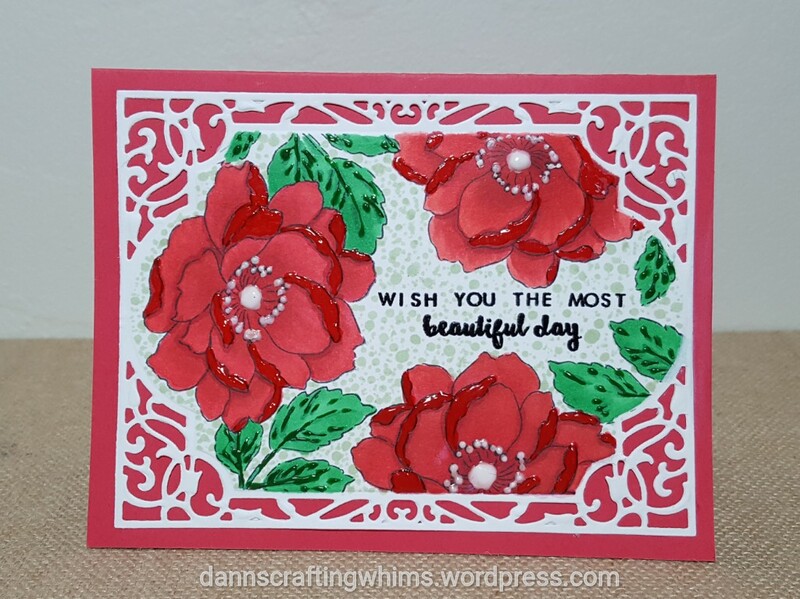 What a beautiful floral card and what a great colour. How cool! I never thought about using gel accents on flowers like this! You always have such inspiring techniques. Your card is absolutely beautiful, love the added accents to the flowers! oooh look at all that gorgeous detail. Love it. Beautiful details and design! Thanks so much for playing Altenew July Inspiration Challenge! FABULOUS!